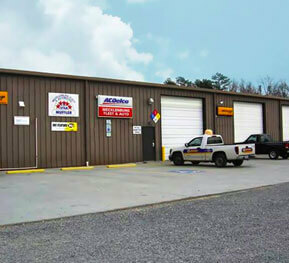 Mecklenburg Automotive & Collision Center is a local auto repair shop in Charlotte, NC that is dedicated to taking complete care of you and your vehicle! Since 1996, we have been providing quality automotive repair, routine maintenance, auto body and collision repair, and transmission repair. Fleet repair services have also been provided throughout Charlotte and the surrounding communities. We are family owned and operated, and deliver honest and professional car repair and customer care to keep you and your family safe on the road. As a certified auto repair center, we are able to provide the benefits of an established national entity while maintaining the personal touch of a family owned auto repair shop. Our mechanics are highly trained ASE Certified Technicians who use the latest technology and diagnostic equipment. This way, we can properly service, repair and maintain all years, makes and models of domestic and import vehicles. Our friendly service advisors are always happy to answer any questions you may have. We guarantee our car repairs in Charlotte with a great 24 month/24,000 mile warranty. So at Mecklenburg Automotive, you know your automobile is truly in the best hands. It seems like time is just flying these days. We understand that your time is precious, so we do everything we can to make your time with us fast and convenient. One way we accomplish this is by being a one-stop-shop! Our talented team of specialists and professionals can help you with everything, from auto body and collision repair and car maintenance services to oil changes, brake repair, and transmission repair. We specialize in handling complete fleet services, including custom exhaust, mechanical and electrical services and collision repair. Mecklenburg Automotive & Collision Center is certified to help you with your NC State Vehicle Safety Inspections as well as any emissions inspections you may need. We can also take care of any other D.O.T. inspections that might be keeping you off the road. Inspections are just one more service we provide that makes us us your one stop shop. Any issues that we, or you, find once you’re here. You will definitely be able to leave with it all taken care of. We are an authorized Goodyear tire sales and service dealer, and stock a variety of major tire brands and sizes fitting most cars and tight trucks. Plus, when you bring your car in for service you should take advantage of all the convenient perks we provide to our customers. Make sure you take advantage of the free Wi-Fi Internet in our comfortable waiting area, the free local shuttle service to get you where you need to go, and ask about our customer referral bonus program that helps you save money! Simply stop by, give us a call or easily schedule your appointment online today! The friendly, expert auto repair team at Mecklenburg Automotive & Collision Center will get you back on the road quickly, easily and safely.